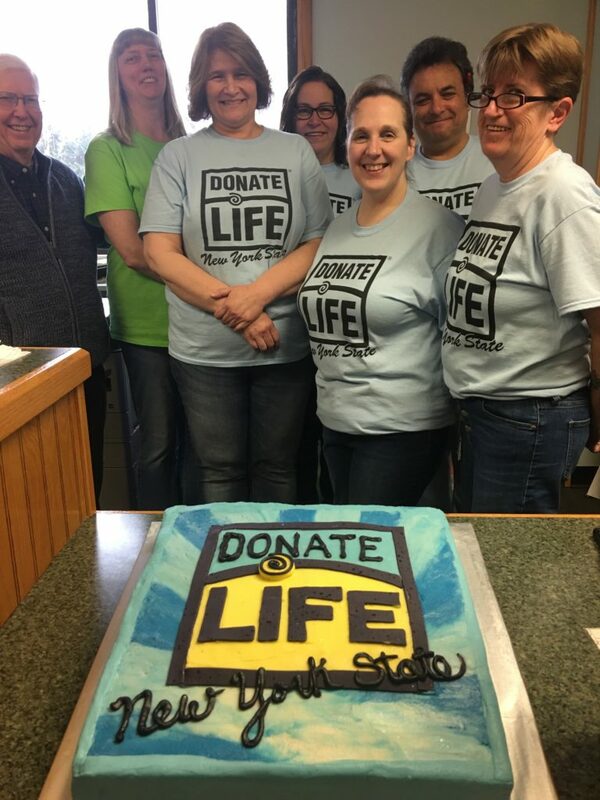 Tioga County’s Department of Motor Vehicles (DMV) and Donate Life NYS have teamed up with other DMV offices around the state during Donate Life Month to increase enrollment in New York State’s Donate Life Registry. 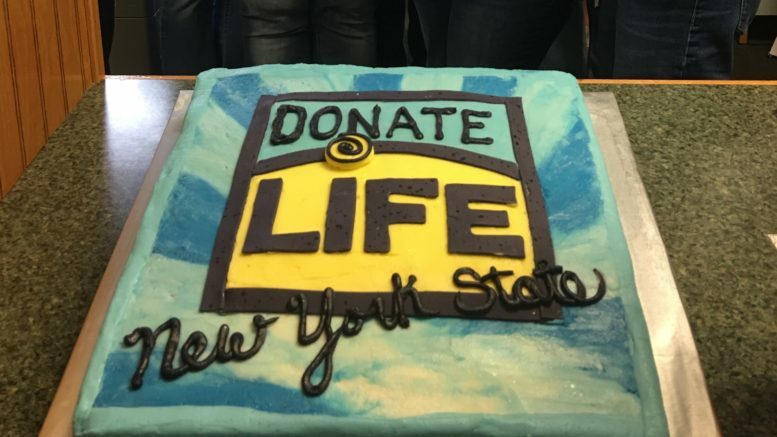 Donate Life Month is a national, month-long observance aimed at raising public awareness of the critical need for organ, eye, and tissue donation, as nearly 9,500 New Yorker’s wait for transplants. Last week, DMV launched an effort that will continue through the month of April that encourages residents to learn more about organ, eye and tissue donation, and the impact it has on thousands of New Yorkers. Throughout the month, DMV will have promotional items available, and encourages residents to make a difference in someone’s life by registering as a donor through DMV, located at 56 Main St. in Owego. By enrolling, according to DMV officials, the registry will ensure that an individual’s wishes about donating are known at the time of death. According to national data, New York has the third highest need for donors in the country, yet the second lowest percentage of registered donors. 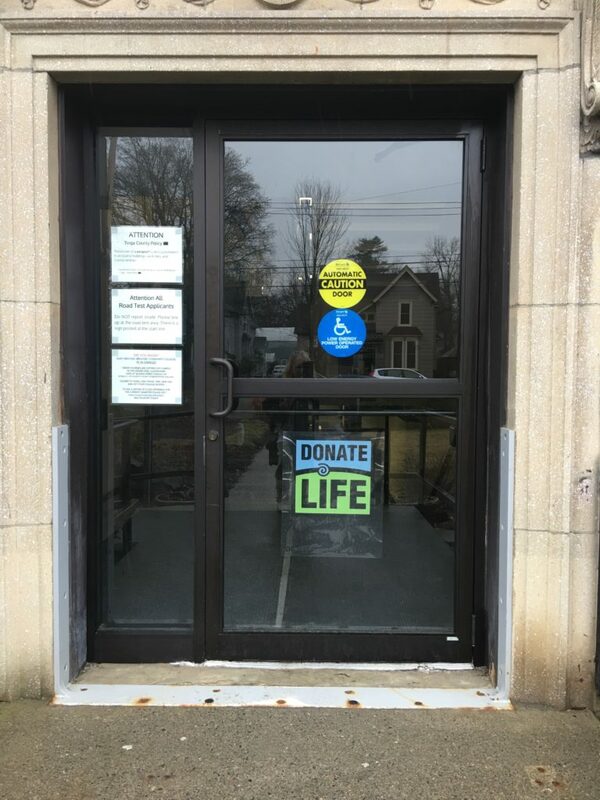 In a press release received last week, Tioga County officials stated that out of 9,500 New Yorkers on the waiting list, over 1,700 have been waiting for lifesaving and improving transplants for more than five years. They noted that each year, an estimated 400 men, women, and children in the state die because of the shortage of donors. New York residents that are age 16 and older can enroll in the New York State Donate Life Registry at their local DMV offices when applying for their junior driver’s license. 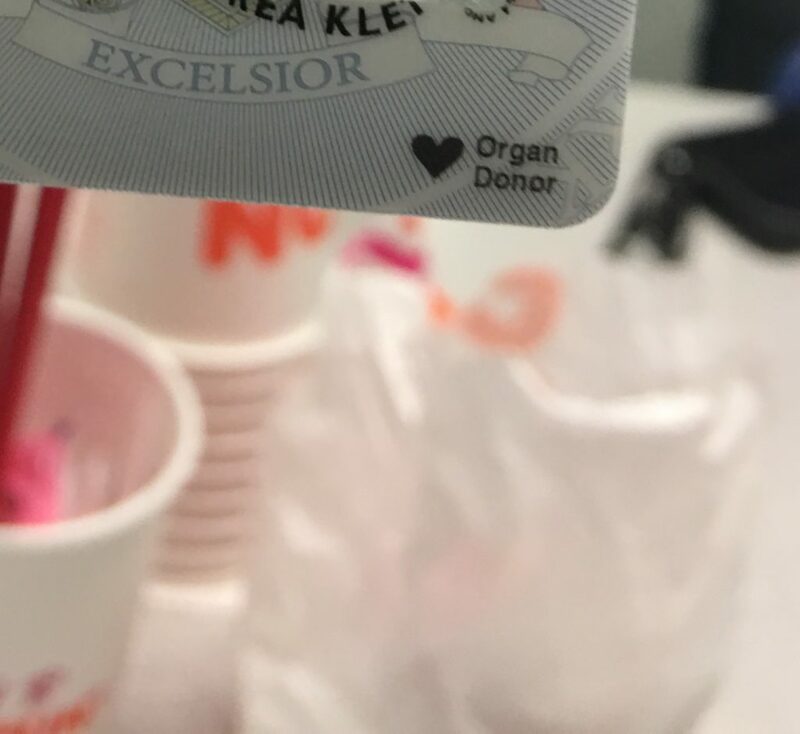 Those applying for renewal of their license, or for a non-driver identification card will also have the option to become an organ donor. 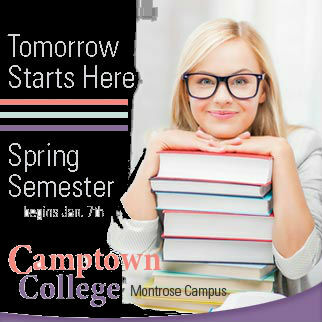 Once you enroll, a symbol of a heart and the words “Organ Donor” will be printed on the front of your license. New Yorkers can enroll in the New York State Donate Life Registry through the voter registration form as well, and when applying for health insurance through the New York State of Health website, nystateofhealth.ny.gov. Most recently, New York residents can register online through the new New York State Donate Life Registry website at donatelife.ny.gov. Additionally, New York residents can show their support for organ and tissue donation by purchasing a “Life-Pass It On” custom license plate from the DMV. They can also make a voluntary $1 contribution to organ transplant research, education, and donation promotion projects by checking off the box on their driver’s license or non-driver identification application or renewal form. To learn more, visit your local DMV during the month of April and help to celebrate the gift giving of life. Be the first to comment on "Tioga County DMV encourages lifesaving donations"